How can I show the total on the form when a product is chosen? I have looked all over and cannot find a way for the cost of an item to show up when a customer clicks on an item. I would prefer it to be in a column to the right so it would total at the end. Do you have any instructions on how this can work? You are asking about the total cost showing up when a product is chosen? To do this you will need to choose your Payment Integration then go into Payment Wizard. 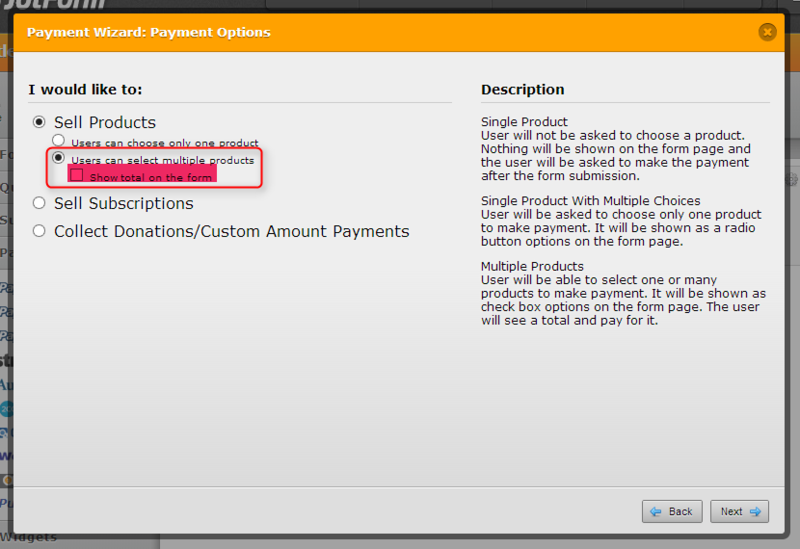 Then choose "Multiple Products" and tick the Show Total on Form box to enable it.